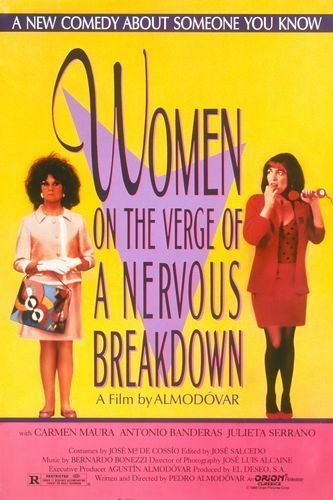 Spanish director Pedro Almodovar is executive-producing a TV series adaptation of Women on the Verge of a Nervous Breakdown. The hourlong series is being developed by Fox TV Studios. This adaptation has little to do with the original movie but I’m oddly alright with that. Almodovar almost always creates entertaining and intriguing works that are so fantastically melodramatic and campy that it is hard not love his films. Having Almodovar adapt one of his greatest successes for the small screen should without a doubt be exciting . I’m also excited to see Almodovar’s depiction of suburbia. But I certainly hope this show does not air on basic cable, because then it will just be Desperate Housewives, except better (sorry Marc Cherry but you just can’t compete with Almodovar). That is the best news ever! Previous Previous post: Cannes Lineup Announced!